An alpine treat, from the Upper East Side. The dry mountain air of the Alps is perfect for curing meats, making the mountainous border regions home to some of the world’s most famous salamis. It’s the meats of this region that influenced the style and flavor of our coarse soppressata. 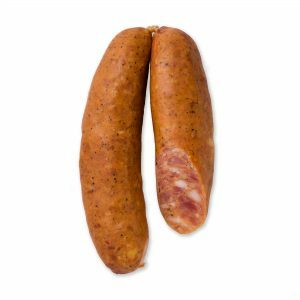 Of course, we added some German style to it as well, making it distinctly Schaller & Weber, and called it our Alpine Soppressata. We’ve also brought our recipe full circle, once again making the Alpine Soppressata all-natural, so even our most food-conscious can enjoy this fantastic, old-world flavor. Available in 3-pound deli sticks. See how the sausage gets made, metaphorically. 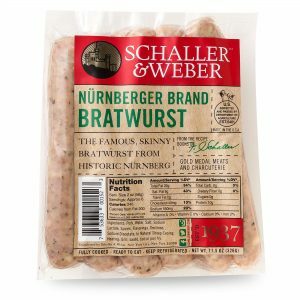 Keep up on current specials and feature favorites with the Schaller & Weber newsletter.